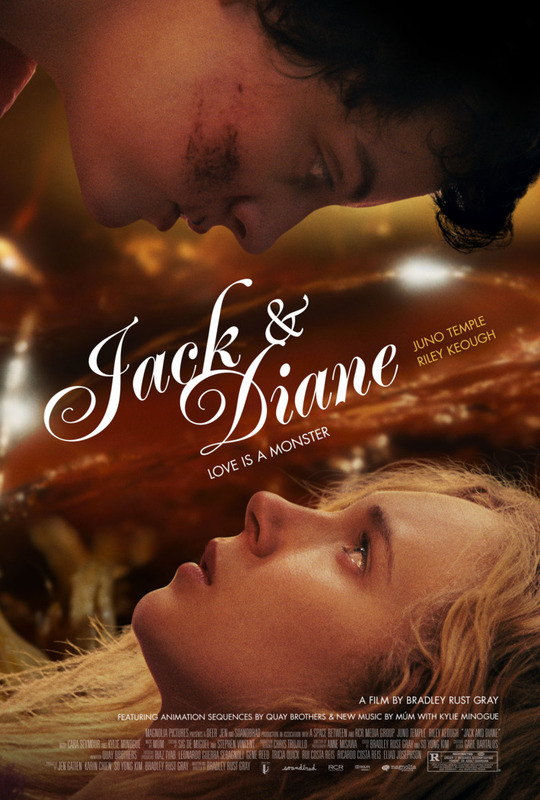 The film Jack and Diane, which premieres tomorrow night at the Tribeca Film Festival, contains multitudes. It’s the coming-of-age story of two young girls (Juno Temple and Riley Keough) in love whose relationship hits a rough patch when one of the girls finds out that the other is moving away. It’s also known to film fans as “that lesbian werewolf movie,” owing to director Bradley Rust Gray’s irresistible genre spin: As the girls discover that young love is a beast, one of them actually begins to transform into one. And if that weren’t enough, the film also contains new music from Kylie Minogue, who co-stars. Vulture’s got the exclusive poster for the movie, which will advance from Tribeca to bow in theaters and VOD this fall.